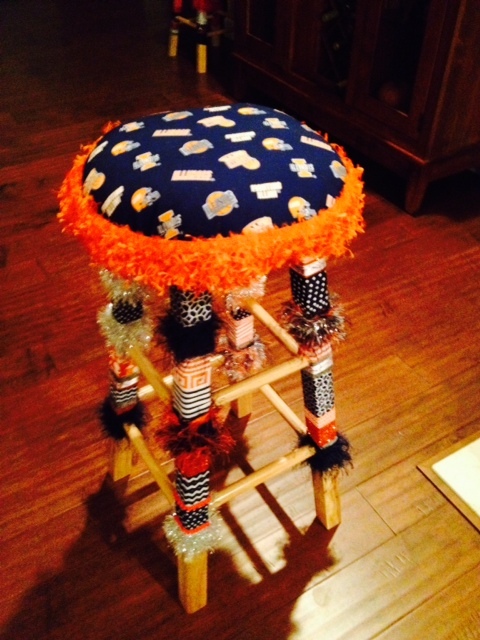 Penny Hall creates cushiony, theme stools adorned with ribbon, yarn, material and a whole lot of imagination. 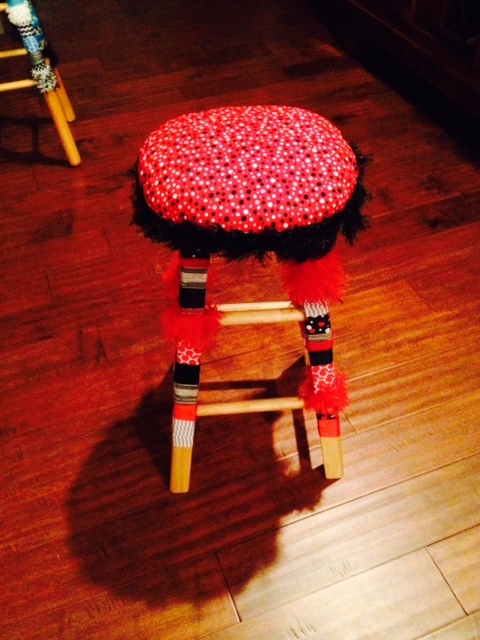 “My stools are available in 24″ and 29″ in height,” Penny says. 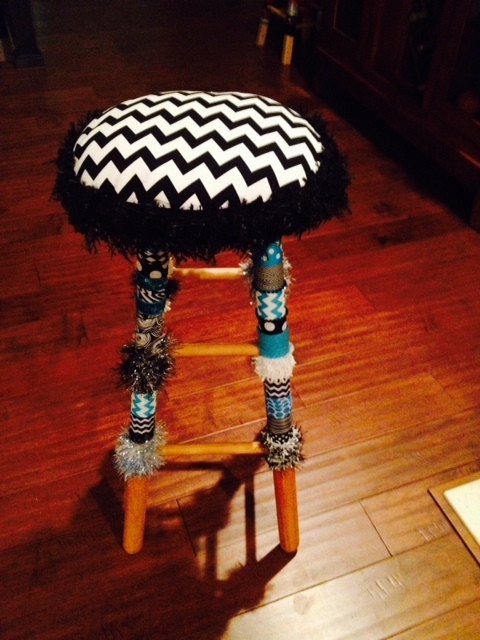 Upon retirement as an administrative assistant, Penny “wanted to do something creative. 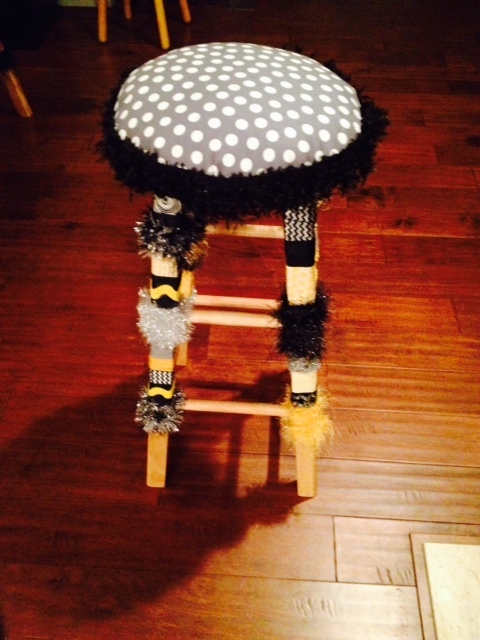 I enjoy designing the stools to express my creative side, and I hope I can uniquely design a stool for you.” Penny has recently branched into creating coasters and hand painting reader eye glasses.